In an effort to get to know you better, please complete the registration packet and forms listed above. If you are unable to complete the registration packet prior to your visit, please arrive 20 minutes prior to your appointment time to do so in our office. We're happy to help. If you do not have an appointment with Dr. Bower yet please call or email us we will be happy to get you scheduled. We can set you up with our patient portal once we have your email on file. 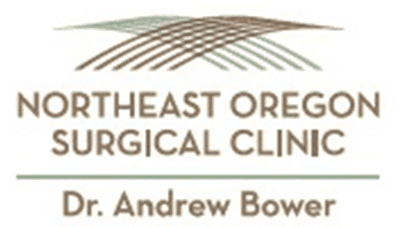 If you have any questions about the patient portal, it’s security, or how we use it, please call our office at 541-966-1001 or email us at: Admin@SurgeonBower.com and we would be happy to assist you. It is our goal to provide you with state-of-the-art medical and surgical care in the most caring and compassionate atmosphere possible. While receiving care from Dr. Bower, please feel free to ask any questions that you may have. Having open lines of communication with each of your doctors is very important. Dr. Bower and his team take pride in spending time with patients and educating them along the way. We welcome you to the practice and sincerely appreciate the trust you and your primary care physician have in us! It is an honor to partner with you and your primary care provider in caring for your medical and surgical needs. Please complete and bring both the registration packet and Records Release Form with you to your appointment.